Sometimes, podcasts just aren’t enough. 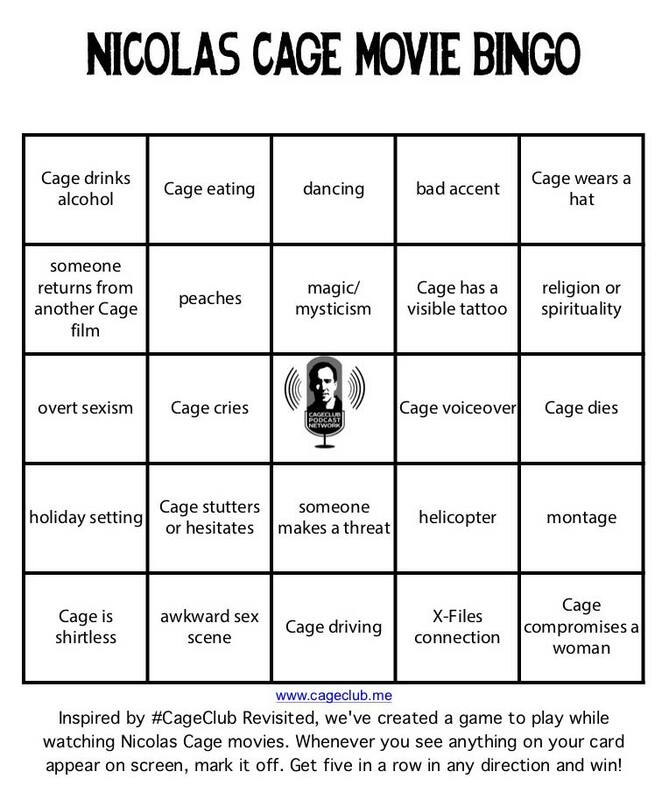 Whether you’re watching a Nicolas Cage movie — or just listening to one of our podcasts — please enjoy these podcast drinking games that we’ve created! Click either of the images below to download the file. Enjoy! 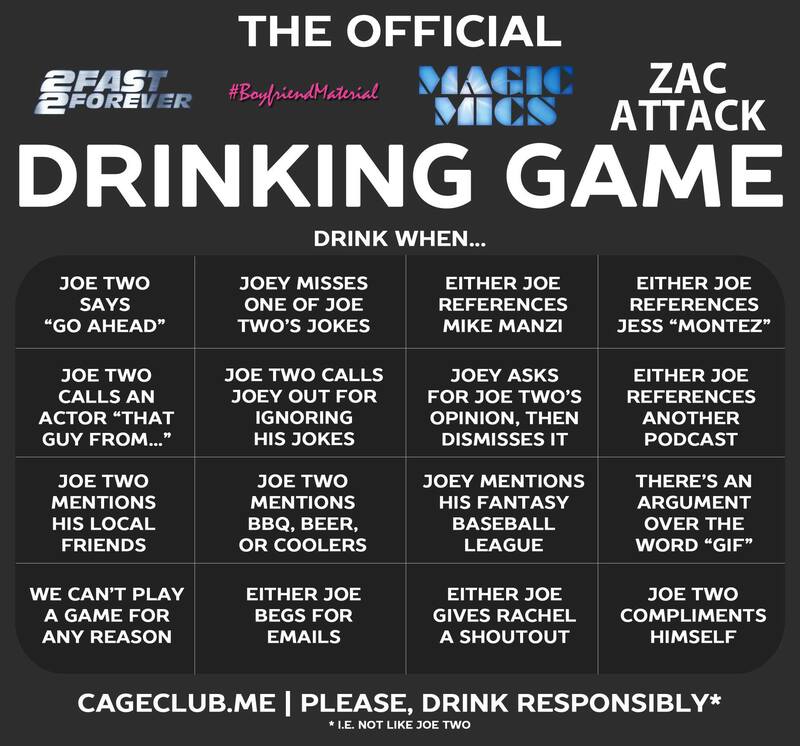 And remember: please drink responsibly (aka not like Joe Two).